Missing important calls or forgetting to keep ingoing numbers happens all the time. Like Jackson, you perhaps get some urgent or valued call logs deleted or lost. However, don't be anxious a lot. There are always practical solutions offered to help to recover deleted call history from iTunes without any complicated procedures. Check here right now in your own way. Step 3: Pick up one iTunes backup you want and confirm "Restore" to restore the whole iTunes backup. Note: This way, recovering data from iTunes backup directly, gives no access to only restore designated call logs and will replace current iPhone data. Besides, no preview feature can be used as well. If you prefer a better workaround, move to the following part. 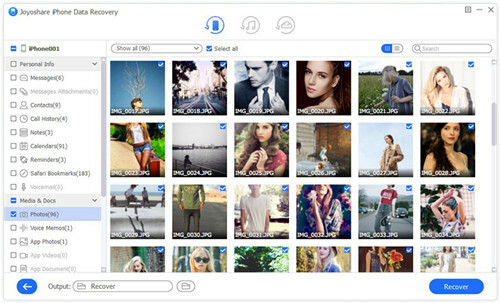 Taking the aid of one 3rd-party program, such as Joyoshare iPhone Data Recovery, can well protect all existing data on iPhone. 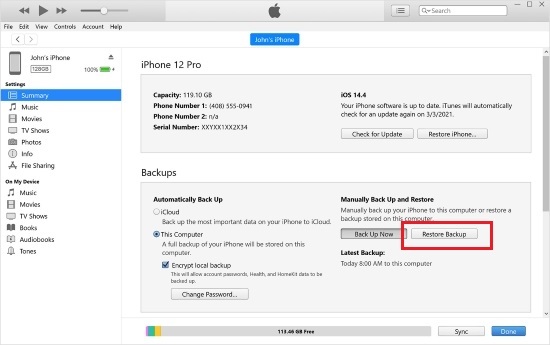 Unlike aforementioned direct method, it won't replace, damage or overwrite iOS data as the tool can serve as a perfect media to help search files from iPhone/iPad/iPod touch, iTunes and iCloud backups. Furthermore, this trustworthy software also comes with broad compatibility to the newest iOS 12 and iPhone XS/XR. It allows you to download and transfer call history, photos, videos, reminders, Safari bookmarks, calendars, etc. from iDevice or iTunes/iCloud backup to computer selectively or fully. Best of all, it performs wonderfully to enable you to scan files at fast speed and preview recoverable data in real time. 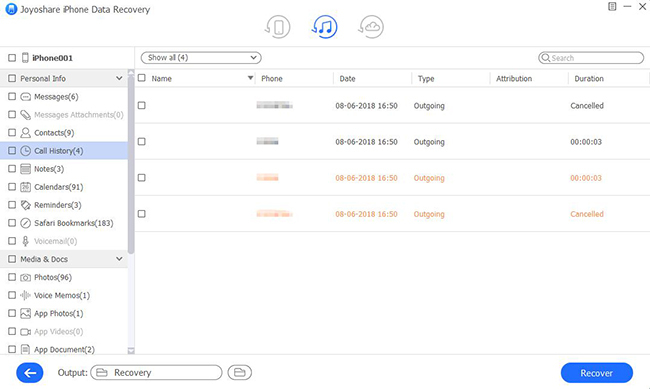 Here we are going to teach you how to recover deleted call history from iTunes backup with Joyoshare iPhone call history recovery. You can download and install it on either Windows or Mac as you wish. Next, the example will only show the Windows version. 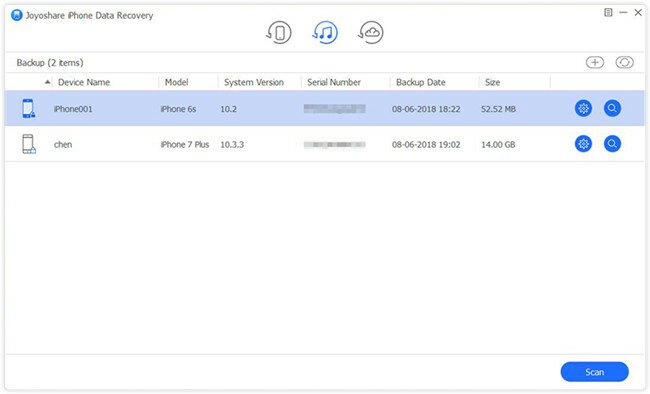 Get Joyoshare iPhone Data Recovery started on computer and go for the navigation bar to switch recovery mode as "Recover from iTunes". Your local iTunes backups will be detected and recognized by Joyoshare without problem. Check the list carefully to pick up the most relevant iTunes backup. Continue to press the "gear" icon to choose given data types, like "Call History". Start to click on "Start" button. 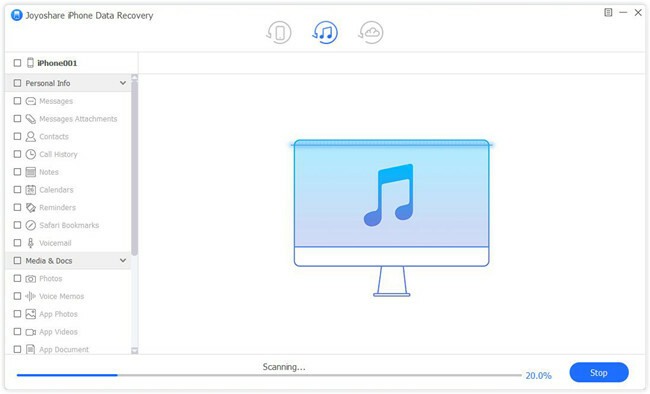 A short time later, Joyoshare will finish scanning and analyzing data from your iPhone iTunes backup. Go forward to preview the classified data one by one or simply mark all of them. After get what you need checked, go to hit the "Recover" button to save them locally.